Islamic Renaissance Party (IRPT) leader Muhiddin Kabiri’s announcement comes amid a sustained campaign of intimidation against government critics. Speaking in an interview in Moscow on June 18, Kabiri warned that the Tajik authorities’ drive to broaden its clampdown on devout Muslims could have dangerous consequences. IRPT was shut out of parliament for the first time in March elections that international monitors said were riddled with irregularities. Although the party fulfilled a marginal role in the legislature, its presence there gave Tajikistan a slender claim to respecting democratic choice. “It was not an election, but an appointment decided a few years ago,” said Kabiri, 49, who had occupied a seat in parliament for 10 years until the March vote. The IRPT remains the only legal Islamist party in Central Asia, although some called after the elections for it to be banned. Tajikistan is overwhelmingly Muslim. The increasingly visible role Islam plays in everyday life worries the largely secular, Soviet-educated leadership. Officials have responded by banning children from mosques, locking away conservative Muslims after closed trials, and campaigning against beards, hijabs and even Muslim-sounding names. Under the UN-brokered peace treaty that ended Tajikistan’s civil war in 1997, the loose coalition of Islamists, nationalists and Pamiri separatists that formed the United Tajik Opposition was promised 30 percent of government positions. Most of those posts were allocated to the IRPT. President Emomali Rahmon, who has been in power for 23 years, has gradually reneged on those commitments. Kabiri, 49, says Rahmon’s authoritarian government is exploiting Western fears of radical Islam and the looming threat of unrest in neighboring Afghanistan to justify repression and intolerance of plurality. The IRPT, which has been at pains to embrace a moderate strain of Islam, gives a voice to the swelling numbers of Tajiks who wish religion to play a bigger role in their lives and presents little danger to the president’s hold on power. Yet Kabiri expects no help from the West, which has courted Rahmon’s support for the war in Afghanistan. 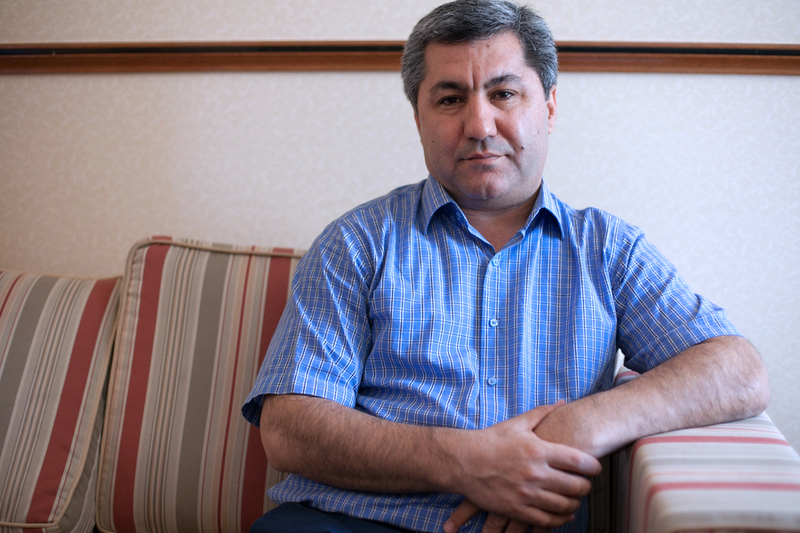 “We still hope Mr Rahmon is not part of the anti-peace process. But some people in government and around him feel it is a good time to stash [the peace treaty] in an archive somewhere,” Kabiri said. Kabiri’s concerns about returning home were amplified by a June 16 article in the state-run newspaper Jumhuriyat that alleged he was involved in a shady property transaction 16 years ago. Kabiri denies all wrongdoing. In 2013, similar charges were leveled against a businessman that had returned from abroad to form a political party. Zaid Saidov, a former Industry Minister with ties to the IRPT, was swiftly arrested, found guilty of fraud, corruption and polygamy, and then sentenced to 26 years in jail. His lawyer was later jailed on fraud charges. Supporters have called the cases bogus and politically motivated. Kabiri, who now spends most of his time in Istanbul, has plenty else to fear. In recent years, Rahmon’s critics have been hounded at home and abroad as the president and his clique appear to grow more paranoid. In March, a man who was little more than an irritant on social media, Umarali Quvvatov, was assassinated with a gunshot to the back of the head on an Istanbul street. Three years previously, exiled dissident Dodojon Atovulloev was stabbed twice in the stomach in a Moscow restaurant. He blamed Rahmon. Kabiri refuses to use the word “exile” to describe his situation, but he seems to be preparing for a long spell abroad. He explains how his family is being harassed, but asks the details not be published.